GCI offers custom designed, full color yearbooks created using your choice two great programs, FotoFusion and Pixami. Both user-friendly programs are equipped with a wide variety of tools and templates. We can also guarantee the lowest pricing on your yearbook, potentially saving your school/parents hundreds, or even thousands, in yearbook costs. GCI provides monthly newsletter with tips and samples to help you create a great yearbook. In addition to the program tech support, GCI yearbook staff is available to assist and offer creative consultations. Best of all…NO DEADLINES! We guarantee you will have your yearbooks within 2 weeks of approved submission. Most of our schools submit their books in April, allowing for more events to be included…and no stress about a specific deadline or a cost increase. FotoFusion is an exciting, intuitive program designed to help you create a colorful and unique yearbook. The FotoFusion software is available online and does not require a download. You can work on your book wherever and whenever you like. Also, multiple people can be working simultaneously within the projects. FotoFusion is also compatible with both Windows and Mac, and is easy to learn and use. In a few quick steps, you can create portrait, candid and collage pages. The FotoFusion Online Storefront is an optional tool that creates a custom site for your school and allows you to offer online sales. The Storefront allows you to easily track sales, import additional sales data and print spreadsheets. Customize your site with a tiered sales campaign throughout the year or, if you prefer, keep sales at a set price and deadline. If your school offers student dedication ads, parents and families can pay for their ad space online. Pixami is a flexible program which allows you to create a customized, colorful yearbook that will last a lifetime. Pixami is a fully online program and does not require any downloads. You can work on your book wherever and whenever you like. Also, multiple users can log into the book simultaneously. The Pixami software is compatible with both Windows and Mac. You can also use Pixami on your Android Tablet, iPad or Chromebook. With a clear format and customization options, creating a yearbook has never been easier. Pixami gives you the ability to construct and create unique pages for portrait and event spreads. The program uses photos from your Photography Company as well as candid shots submitted by parents and volunteers. For your convenience, Pixami will automatically flow your portraits onto the pages you select. Pixami has a wonderful selection of backgrounds, fonts and clip art. You can also upload any artwork or photos you would like to incorporate into your book. The Pixami Online Storefront is an optional tool which allows parents and staff to upload photos to be considered for the yearbook. Create folders within the site to allow easy organization for yourself as well as those wanting to contribute photos. The Storefront also offers the ability to conduct yearbook sales online. Parents and staff can place their order, and you can easily track sales. If your school offers student dedication ads, parents and family can pay for their ad space online as well as create and submit the actual design. Both FotoFusion and Pixami allow you to customize and create a cover that will reflect your students and school. Create a custom cover within either program using an extensive catalog of backgrounds, fonts and clip art. You can also choose to upload your own custom design from a different source such as a student art contest or another design program. If you prefer, both programs offer a wide variety of stock covers from which to choose. Stock covers also allow you to add clip art and text for a more customized feel. Apart from the student portraits, candid photos are one of the most important features of the yearbook. GCI can send photographers to the school to visit each classroom to take multiple candid photos. Photographers are also on hand to take photos of the staff as well as any special activities that may be occurring that day. For your convenience, GCI will upload your candid photos to either FotoFusion or Pixami. Or, if you prefer, we will provide you a photo CD. 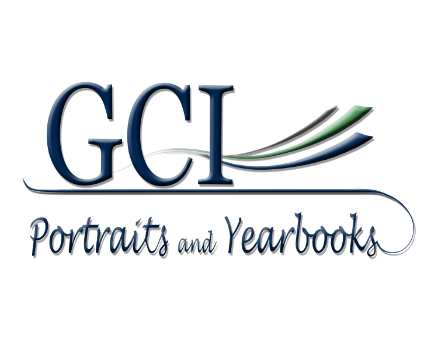 GCI provides dedicated and knowledgeable representatives to coordinate with you and your yearbook staff. We are available for office calls and consultations. While both FotoFusion and Pixami are user friendly, should you encounter difficulties at any stage in your book creation, our yearbook support staff is only a phone call or email away. We can even log into your book to better answer questions about specific pages. FotoFusion and Pixami tech support are also available and happy to assist you in anyway.